So tomorrow is our big Baby Shower at Noah's for the March of Dimes Teddy Bear Den. Please come by - even for a few minutes! It's going to be a fun open-house style party for bloggers and non-bloggers alike, with lots of refreshments and TONS of great door prizes for those who donate something to the charity. Please bring your friends, kids, and family. It will be from 10AM - 12PM (open house style) at My Noah's in South Jordan (322 West 11000 South - directions below). As you may or may not know, I am a L&D nurse. I have a love for what I do and am passionate about getting needed care to those who are less forturnate. It is a vicous circle - low income moms are higher risk for problems during pregnancy and birth. And high risk moms lead to high risk babies. The Teddy Bear Den is such a great charity. They help to prevent birth defects by educating low income women about how to protect their babies prenatally. 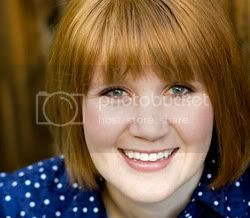 Women who successfully participate in the program (by getting prenatal care, quitting smoking, avoiding unhealthy behaviors before and after the birth of the baby, etc.) are offered baby items like diapers, wipes, baby clothes, blankets, and more. We're helping by working to "stock the den" with baby items. So come over To Noah's tomorrow and bring something to donate. There are so many great door prizes you won't want to miss it! Directions: Take I-15 to 106th South. Turn left on 106th South. Turn left on South Jordan Gateway. Turn right on 11000 South. The building is on your right. Next week, we have a virtual shower going on - everyone who donates (by purchasing something online and having it shipped to the charity) will have a chance to win something in our giveaway (with prizes from Shabby Apple, Marili Jean, Doodlekins, Minutes with Me, Belly Buds, Flowerz in Her Hair, Ulta and more). Thanks to our awesome committee for putting this event together - and a special shout-out to Kate B. for rounding up MANY of the prizes (thanks so much Kate). 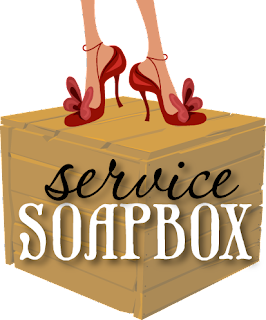 If you're interested in getting involved in the Service Soapbox blogging group, please visit our blog. And if you've signed up to be a part of the Service Soapbox blogging group, please be sure to remind folks about this on your blog today - this is the point of the Service Soapbox - to do good stuff with our blogs - and it doesn't work unless we actually USE OUR BLOGS to spread the word!